Poor window cover choices can cost home owners in excess of $250 every winter, while putting additional pressure on our environment. Home owners tend to think more about keeping warm with electric heating along with insulation in the ceiling, rather than looking at the more obvious choice of window coverings. “By not having quality blinds, it’s basically just throwing money out the window year round,” says Brett Thomas, Director of The Blind Factory. According to yourhome.gov.au, windows can severely impact on the heating and cooling loads of a building with up to 40% of a home’s heating energy potentially lost and up to 87% of its heat gained through windows. On sunny winter days, heat gain through windows should be maximised to keep a home warm with less reliance on artificial heating. “Many of our clients come to us to purchase blinds for aesthetic reasons, but while that is an important consideration, the reality is that good quality, well-fitted blinds will reduce energy costs and help the environment over the long term,” he said. One of the most popular window cover choices for home owners are the versatile roller blinds available as block out, sheer, translucent or combination dual rollers, which are available in a huge range of colours and cost between $4,000 – $6,000 to custom fit an average size home. The great benefit of roller blinds is that they can be completely opened up to allow the winter sun to enter the home. “New home owners are using a combination of sheer and block out roller blinds because they are able to control natural light and privacy in their home,” he said. 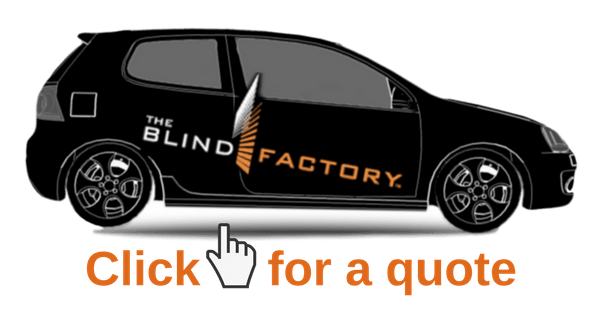 With over 40 years in the market, The Blind Factory has the experience and products to suit every home and offer an industry leading Lifetime Warranty. Organise your FREE QUOTE today.